Dad got a nifty drill press and I drilled the holes in the brackets like they were butter. 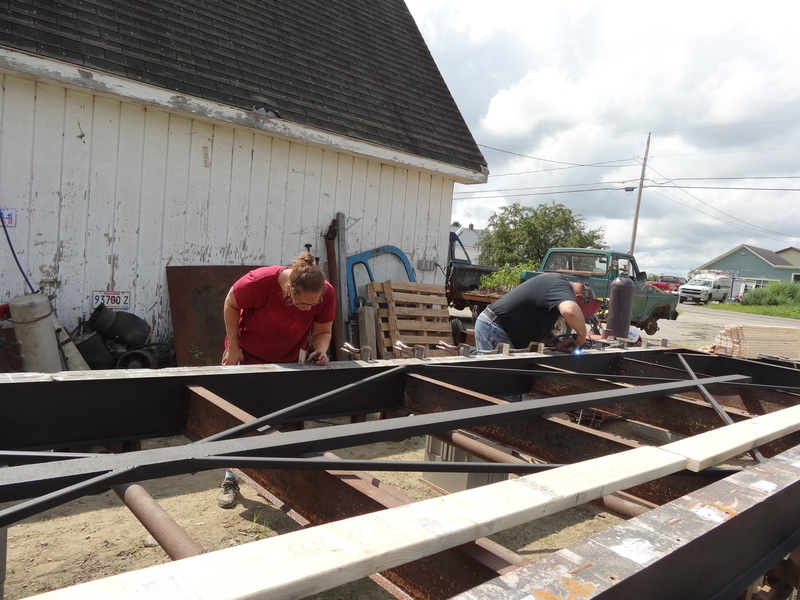 Dad welded them 16″ OC to correspond with the floor joists. Clamping and welding the brackets. 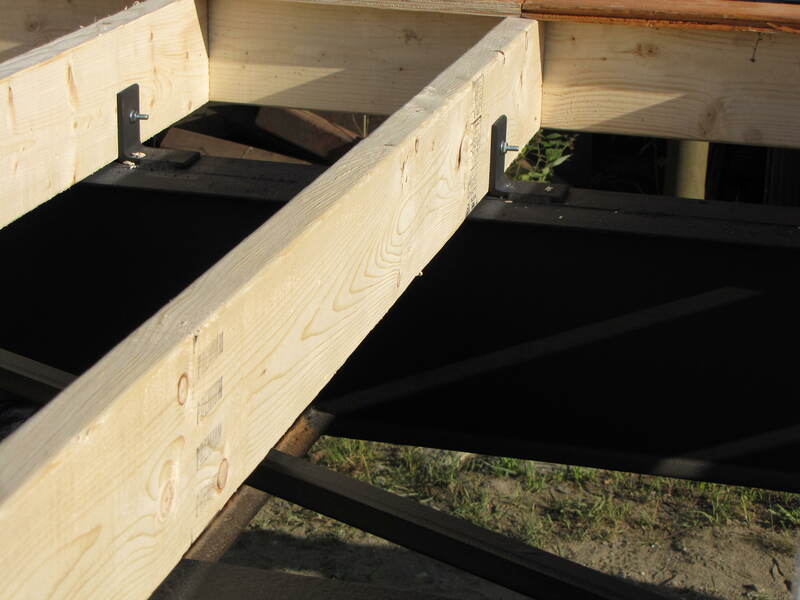 We set up the 2x6s, clamped, and drilled them, and then added the carriage bolts. Mom got in on the action, tightening the nuts and bolts. 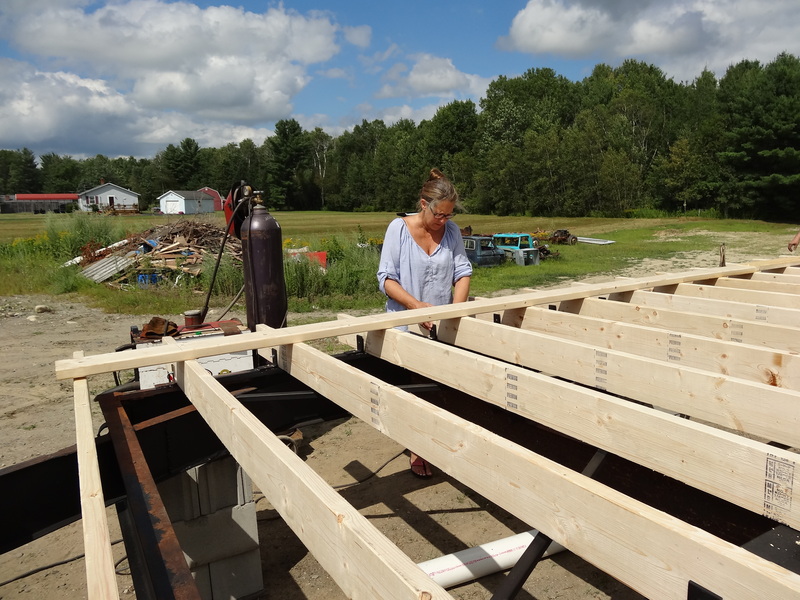 The thing I was dreading the most was using the nailgun… so scary but so much quicker. First try and, of course, I jam it. That should be my tagline… breaking drill bits and jamming tools since 1978. But I finally got the hang of it. 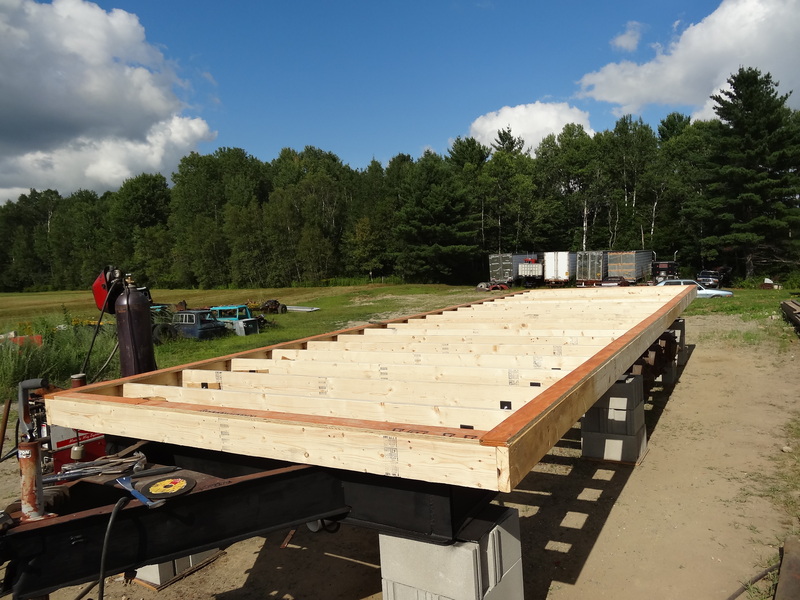 We added the perimeter of plywood on top so we can put up the walls and still have access to underneath before we have the insulation sprayed. Earlier in the day we decided to add to the length. 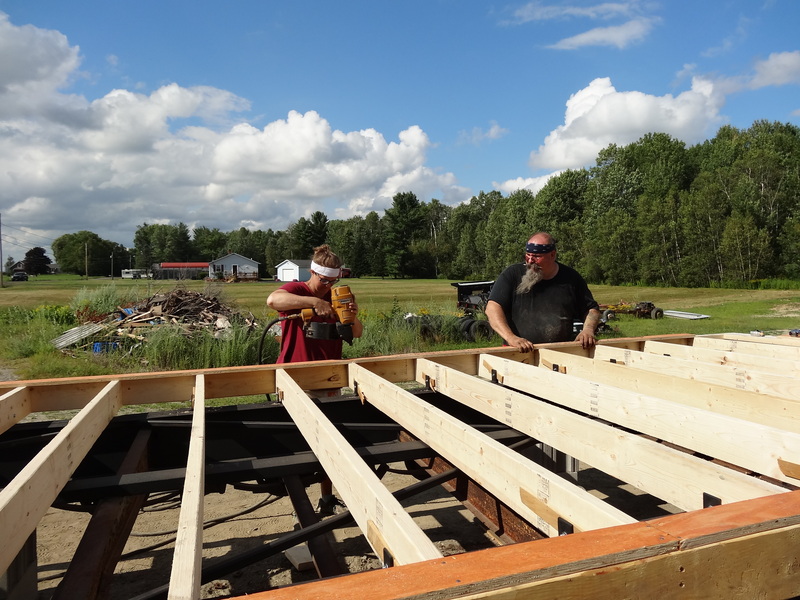 The final floor measurements are 25′-5″ x 8′-3″, which will put the finished house at about 25′-8″ x 8′-6″ with another 3 inches of overhang on all sides for the eaves (which is still legal for transport).